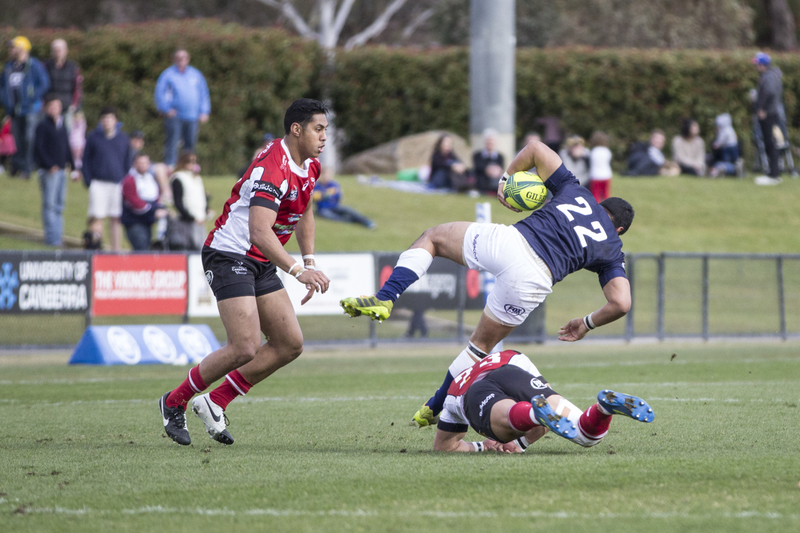 The University of Canberra (UC) Vikings initially named 13 Brumbies in their starting 15 to hold favouritism at Viking park. But nobody told QLD Country! The anticipation of heading to Vikings Park with the UC Vikings naming 13 contracted Brumbies in their starting 15, and the return of the potential Wallabies wingers going forward, Henry Speight and Joe Tomane was slightly dampened on arrival with the news that Henry Speight hadn’t quite recovered from the hammy injury, pulling up sore after Friday training. 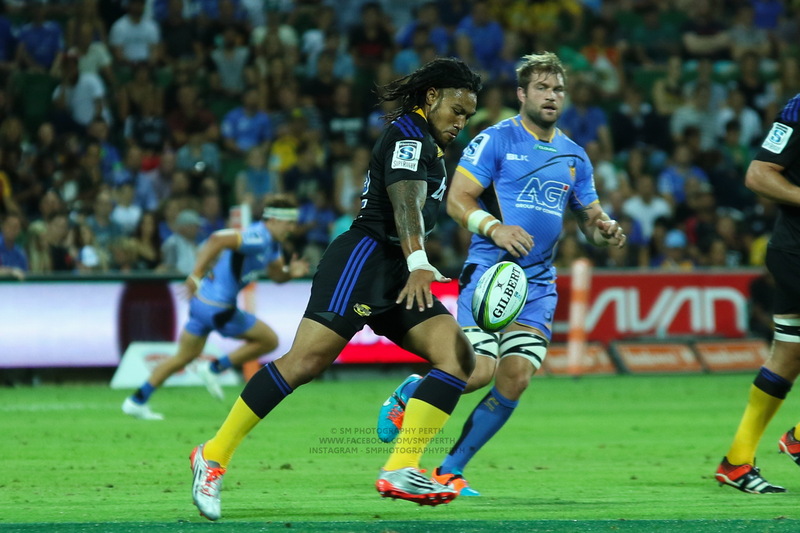 Although his replacement Jerome Niumata showed he is one to watch, providing great coverage for Henry, and probably out pointing Joe Tomane as the best UC Vikings winger for this game. 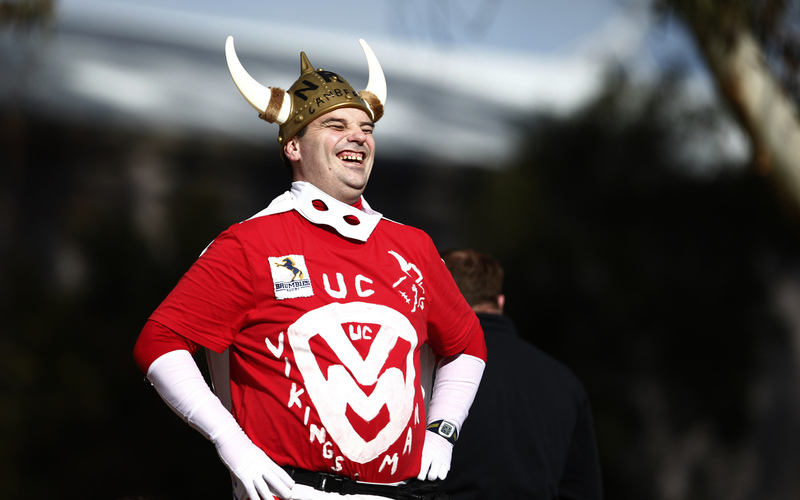 The UC Vikings won the toss and elected to kick off, and the game started with plenty of intensity. Jarrod Butler putting the finishing touches on a great lineout win (one of the only positives from the UC Vikings lineout in this game) which fell into a strong maul, and Jarrod scores after only six minutes. Jesse Mogg converts from about 10 from the sideline. 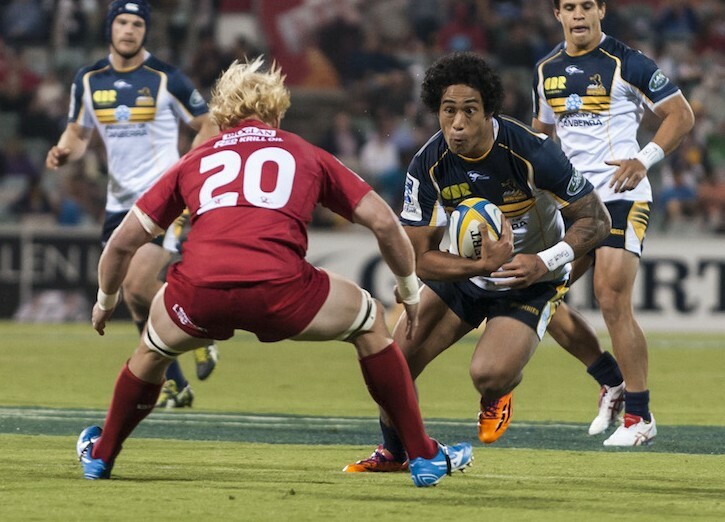 The QLD Country started to look good with the ball in hand, and were putting pressure on the UC Vikings. The lineout troubles for the thrower started with QLD Country losing one against the throw just outside their attacking 22m, but then the ball is knocked back twice by the UC Vikings, and as Joe Tomane cleans it up from inside UC Vikings tryline, he runs across and just gets back into the field of play next to the posts, when he is tackled as he tries to offload, and the ball pops up to QLD Country outside centre Clynton Knox to fall over beside the posts, and with the conversion by Matt Brandon locks the score up at 8-8 after 12mins. The next five minutes sees QLD Country dominate set pieces, with a scrum against the feed, and some poor lineout throws by the UC Vikings, leading to a lineout inside the 22m for QLD Country and a rolling maul before Beau Robinson drops over for the QLD Country second try. Conversion is missed, and score remains 13-8 to QLD Country. It is interesting to watch this game, with the UC Vikings having more “professional” players and looking to play running rugby, but a combination of weaker set pieces, especially lineouts (I lost count of how many UC Vikings lost on their own throw), and QLD Country tenacity around the ruck and maul, leading to an even game, up until after the 30th minute, with UC Vikings prop Ruan Smith, who in partnership with his brother JP having been devastating in the first half so far, rolling his ankle, and while it looked like he might come off, the old tape over the boot trick allows him to stay on. In the 32nd minute when following repeated infringements led to QLD Country Number 8 Ben Adams getting a Yellow Card which allowed UC Vikings to get more attacking ball, and from the back of a scrum Jesse Mogg runs off Robbie Coleman to offload to Jerome Niumata who scores in the corner (although from where I was sitting, it looked like his legs were over the sideline in-goal before he grounds it, but the assistant referee awards it). Jesse Mogg misses the conversion and we have a 13-13 half time score. The second half was tight with great defence by both teams, and the UC Vikings lineout troubles continued and the QLD Country involvement around the ruck and maul was great. 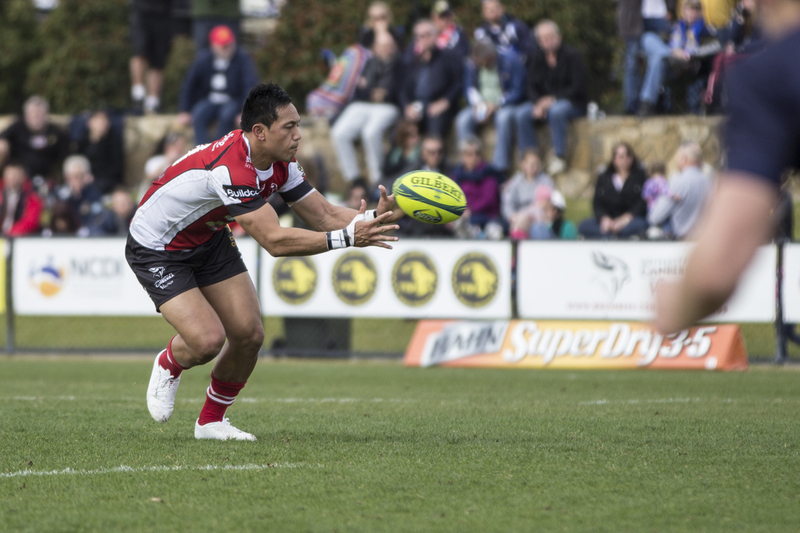 UC Vikings were finally able to edge ahead following a backline move that allowed Nigel Ah Wong taking a great long pass, stepping inside the defence and running 40 metres for a try. Jesse Mogg was able to knock it over from out wide and UC Vikings lead 21-13. This carried us on until the final five minutes, when the game started to open up. QLD Country were unlucky, with some great UC Vikings defence leading to them being held up, but from the ensuing scrum, they knocked it on. UC Vikings then worked their way down the field and the UC Vikings backline fired again, with Nigel Ah Wong giving Robbie Coleman a nice pass to score in the corner. Jesse Mogg misses the conversion and we have a 26-13 lead with 2 minutes to go. Both teams obviously were keen to go for the Bonus Point, but the luck fell with QLD Country, as the assistant referee missed a clear forward pass to allow James Turner a free 20 metre run to score near the posts after the bell. Matt Brandon kicks the conversion and UC Vikings hold on for the win 26-21. TH: First of all how did you pull up after that game? JT: It was good, I pulled up fine, the hamstring is fine, the back is fine. I was really happy that we were able to get the win against a really tough team. QLD Country came to play, and I really think the home crowd got us through. TH: Are you back with the Wallabies squad next week? JT: I am not too sure, I don’t know what the go is. I think that they [the Wallabies] have a squad over there that can do the job. So right now I am just focusing on improving and concentrating on the UC Vikings, and hoping that the UC Vikings can keep getting the wins. Aside from the couple of hairy moments I had on the field, I am glad that I was able to contribute to this win. TH: So do you rate the NRC, as it gives you that opportunity to get game time coming back from injury, rather than just joining the Wallabies in training? JT: Yeah, it was a tough game, especially coming back from my injury, and trying to get the game fitness and what not. It was very entertaining, and that brings the crowds in, so that was good. That’s what we want. The UC Vikings looked to be cruising early, when Joe Tomane tried an offload on his own tryline, and with the great QLD Country defence, it went to Clynton Knox for QLD Country’s first try, and it gave QLD Country some good confidence. I have to agree with the on-ground decision of JP Smith from UC Vikings, his running with the ball was devastating and his offloads were silky. 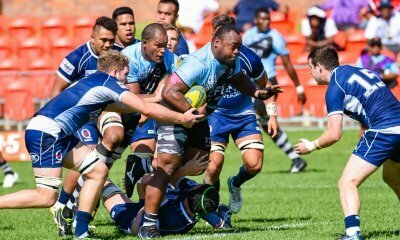 Jerome Niumata showed plenty of skills and Tim Cree made a few big line busts for the UC Vikings whilst James Turner and Ben Adams gave the UC Vikings plenty of trouble in the rucks for QLD Country. Thanks for the write up mate, the interview was great as well.